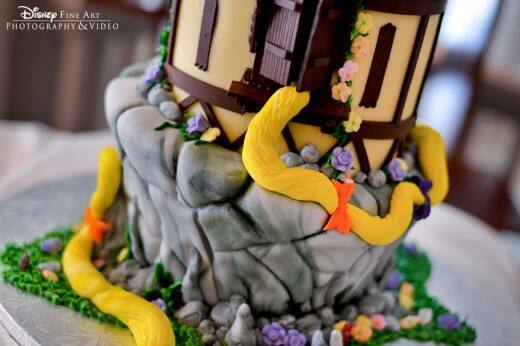 Today's cake looks so realistic that I had to do a double take! 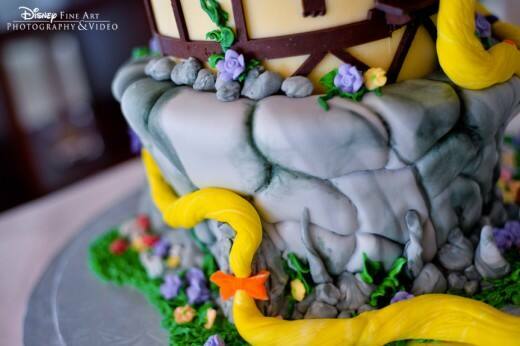 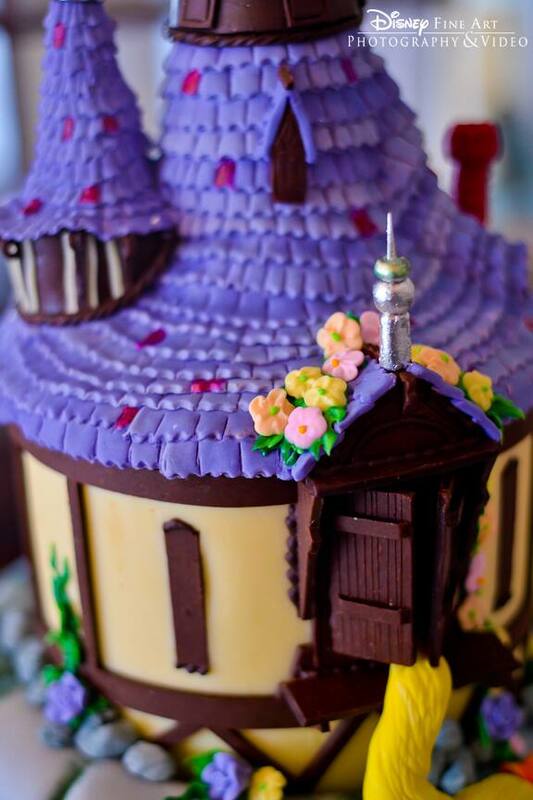 Inspired by Rapunzel's tower in Tangled, this masterpiece boasts golden locks, an intricate purple roof and matching mini cake. 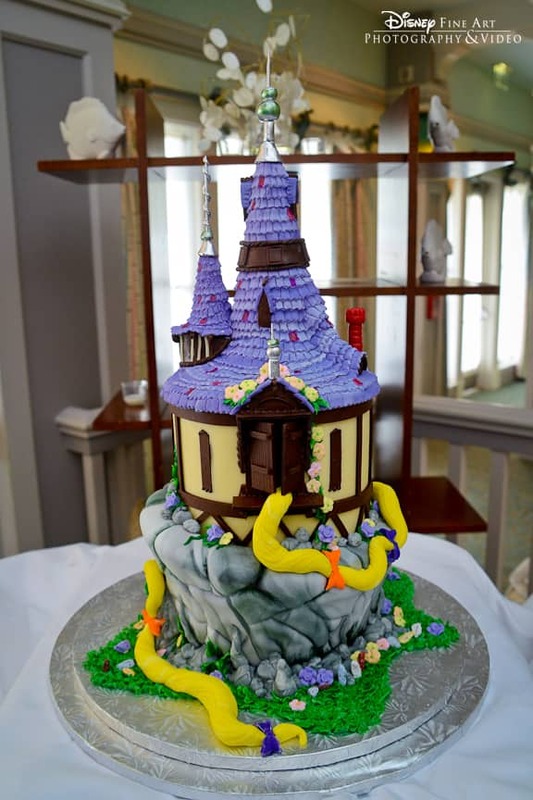 It's almost too incredible to eat!